KFC chicken besdie Yorkgate shopping centre. Have you got Google Earth on your computer? If so, then download the Google Earth Map of KFC Yorkgate. 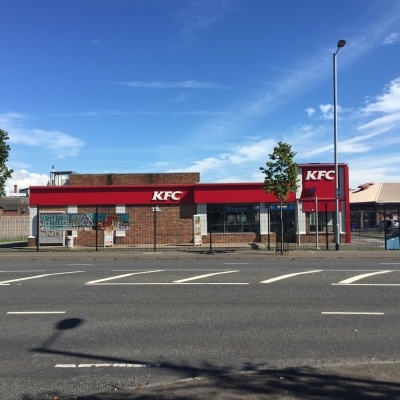 Is this the wrong position for KFC Yorkgate? If you think so, then modify its position. APPALLING FOOD AND CUSTOMER SERVICE. I visited this KFC quite recently with a family party from Sweden we ordered our meals which came to almost �30 i presented an�50 note and was quite embarrassed when it was refused and told it was not legal tender. I took the money to the Bank next day and they were amazed when i told them what had happened. Very embarrassing i must say and not good customer service.